Six years ago, after searching for the perfect mouthguard for years, hockey enthusiast Frank Rabinovitch created the eCommerce brand Impact Mouthguards. Finding that old-fashioned off-the-shelf mouthguards didn’t fit anyone well, and custom-made guards from private dentists cost an arm and a leg, he set out to create an alternative. Relying mostly on word-of-mouth at the start, Frank has managed to grow a $600K business in just six years, enjoying a 30% year-on-year growth and winning sports contracts with athletes and clubs. 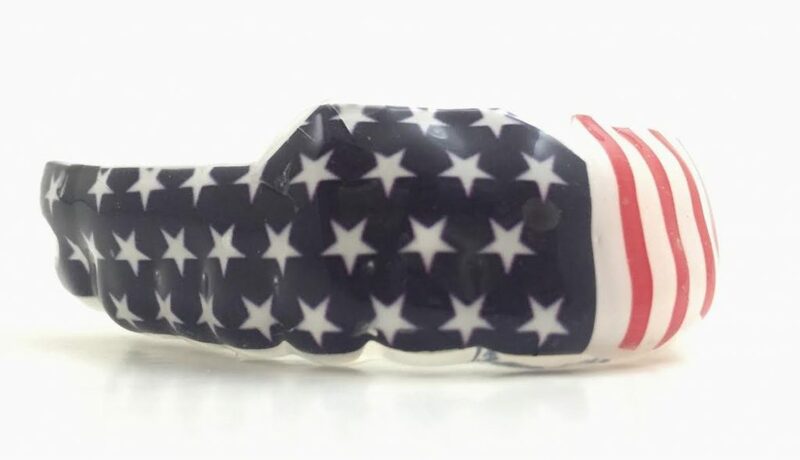 Now with 11 employees all dedicated to creating the perfect mouthguards for athletes around the world and expanding on their customization options, Impact Mouthguards is an excellent example of how online sellers can dominate their niche! We interviewed him to find out how he got started, the ins and outs of his successful manufacturing process, and how he has managed to stand out in his niche. 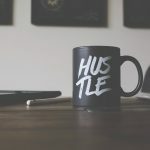 So sit back, grab that coffee and be ready to get inside business tips from this 6-figure eCommerce seller. 1. Tell us about how you got started. I am a lifelong ice hockey player who never wore mouthguards because what was available off the shelf was terrible. They didn’t feel good or fit right so I just played without, as so many players do as adults. I paid the 200 bucks, and found this perfectly-fitting mouthguard was now something I couldn’t play without. That really changed my personal perspective on mouthguards and what they can do for you when they are made right. At the time, my kids were young teenagers and were playing lacrosse and ice hockey, and both were having the same problem with mouthguards. We would go through multiple mouthguards each season, and as a coach, I saw that the other kids were having the same problem. 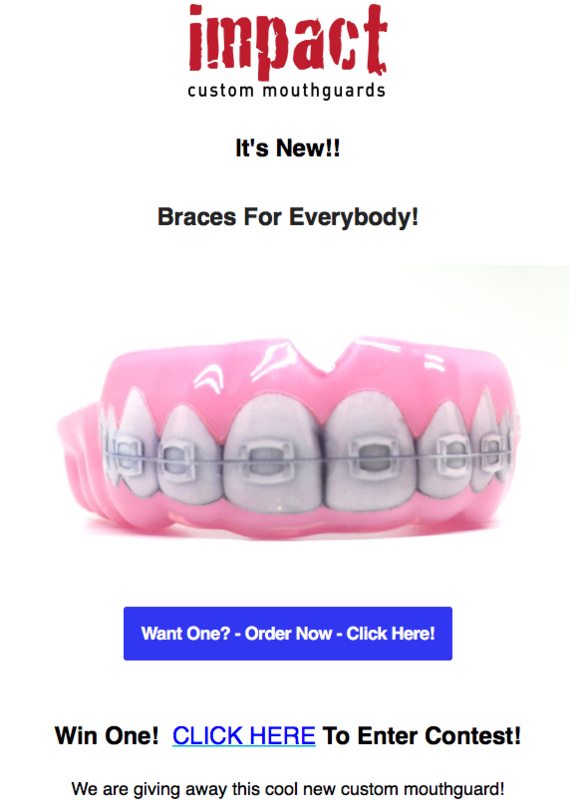 Obviously, spending $200 for custom guards is just too expensive for most athletes, which is why I set out to craft a guard that was better than what I received at the dentist, but at a more athlete-friendly price. We started with friends, family and people we knew through hockey, and through word-of-mouth, it has grown into a 6-figure business. We have since added tons of designs and options. People want custom products, so we now upsell a wide variety of custom designs – from flags to smiley faces – giving customers more of a choice. Our most popular custom designs include flags, faces and fangs. 2. Take us through the manufacturing process of launching your first product. Because I am not a craftsman by trade, manufacturing was an interesting thing for me. Once I decided that the idea was good, I went out and started purchasing the equipment, not knowing how I was going to make the guard. I made a couple of prototypes myself, which were at first really poor; but I kept trying. I went out and found some business – a whole hockey team that wanted to order mouthguards. I got their impressions, not knowing at the time how I was actually going to start. However, I was lucky enough to meet a craftsman from the dental trade at that exact time. I found him while I was buying another piece of equipment that I didn’t know how to use, from a lab going out of business. I asked them, “Do you know anybody who knows how to make a mouthguard?” and they made the introduction. Being in the trade, he fully understands the formation of teeth and the architecture of the gum line, and so around him we bought the finest equipment, hired additional people and grew the business based on his expertise. 3. How are you able to ensure each of your mouthguards fit perfectly to your customers’ mouths? We had to figure out a way for everyone to be able to give us an impression of their teeth in order to ensure a perfect fit for every guard. We started two ways: One, we had on-site visits, where myself or one of my staff members would go to a team and help them with their impressions. Or two, like we now do with the majority of our business, we send a kit out. We developed our in-home impression kit, which, once you place an order on our website, we send to you. It enables you to do the impressions at home, yourself. Right at your kitchen table, you mix the putty, put it in and bite down, and that sits in your mouth for a couple of minutes – and it’s done. You wiggle it out, put it back in the bag, back into the prepaid box and send it back to us. Our churn rate is quite low at this stage, with only 2-3% of people not returning their impressions. 4. Describe how you coordinate the workflow of your eCommerce business. We have a well-rounded team, with nine permanent team members. We increase to up to eleven team members when demand is higher for merchants of our mouthguards. As a business owner, I do everything from cleaning the toilets to marketing. However, I largely focus on sales and marketing. All production is handled internally, and I am very involved with that as well. So yeah, many hats, but I like to focus on sales and marketing. The rest of our team includes production staff in the lab who craft the guards, a couple of folks in customer service, and then we have those that help us with sales. The sales team will follow up on leads that come through our website, particularly teams, academies and gyms. In the case of gyms and academies, we introduce ourselves and explain how our product works, and then work with them to become resellers. We now have 95 gyms and academies selling our product. Additionally, my son and daughter work here when they’re home from school. My son helps with our social media; he enjoys that and has several accounts of his own that he has grown pretty substantially. This summer he will focus in on our Instagram account, which has probably around 50 or 55 hundred followers and we’ll be looking to double that before he goes back to school. 5. Describe the competition surrounding your niche. Dentists are what I would call a light competitor, because they make one-off mouthguards but are not really specialising in them as we do. Our main competitors include one or two online suppliers that are similar to us, in the sense of making a custom product and the whole world of ‘boil and bite’ off-the-shelf mouthguards. The latter have the lion’s share of the mouthguard industry. I consider them our biggest competition, because I am trying to carve out a niche from the business that they already have. 6. How do your prices compare with off-the-shelf competitors? We have guards for athletes who play in helmeted sports and those sports that are considered “less contact” sports. That would include something like basketball, where you certainly need a mouthguard because it is rough and physical, but people consider that less of a contact sport. The price point for those guards is $49. We then have one step up, which is $69 guard. These are typically used for boxing, MMA and Muay Thai. Because there is more full-on head contact, we craft those guards with a bit more shock absorbency. Consumers can find mouthguards in-store starting from $2 to $50, but in that range, none are better than the other because those guards are made to fit anybody, and as a result, most don’t fit many people very well. 7. How do you stand out in the mouthguard segment? A lot of that is education, and as I said earlier, word-of-mouth. An athlete in the gym, on a hockey team or on a basketball team gets one of our guards and they immediately have this eye-opening experience of, ‘Wow, this is really different!’ They then tell their teammates who then all order, and that’s what helps our business grow. For the past year we’ve also been doing an online push to broaden our audience and reach a world of people who don’t know about us. 8. 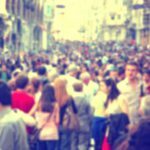 What is your most effective way to attract site traffic? In terms of social media, certainly in the last year, we’ve put more focus on Facebook because of the advertising aspect, which has helped that platform grow much faster and bring in traffic. But now that Instagram seems to be catching up, we will be spreading out a little more evenly. Historically, word-of-mouth has been the hallmark of our growth. Facebook and Google are bringing in new customers for sure – bringing new eyeballs to our site who didn’t previously know us. Our two main traffic platforms are Facebook ads and what we do with you on Google. 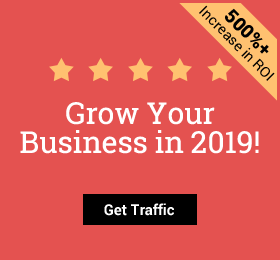 We are spending more on AdWords now with Traffic Booster, and are looking to grow both of them, plus Instagram, to bring in even more traffic. We have a new site that is about to launch in the next week to ten days. Once we have that up and running and the kinks worked out, slowly but surely we want to start upping our exposure because it’s all about quality traffic to the website, right? 9. Why have you decided to revamp your site? The site that we had was probably around three years old and wasn’t so good on mobile, and definitely far more of our traffic is starting to come from mobile. Additionally, for the new website we will be using 3D modelling of the mouthguards, so that it is consistent with our product presentation as opposed to really poor photography. The photography that I was doing for the old site was inconsistent and the website was looking pretty scrappy. Additionally, it will create a better shopping experience for our customers. On the new website, we have about 45 different designs or color choices. Customers will now be able to first pick the sport and then their design, instead of the other way around. For the new site, we are using the Shopify Turbo theme, and are working with Patrick Scully from The Web Shepherds, who’s now the keeper of the brand and is really fantastic. 10. Take us through your ordering and fulfillment process. We currently deal with 20-50 orders a day. When we receive an order, it runs through our shipping software, Shipstation, and we prepare the shipment of the kit with a return label. Once we have received the impression back, we then check it in through Shipstation and one of the BOLD apps, Automanager, so that our customers are notified that we have received it. The order then goes into our manufacturing process. Right now we’re on about 14 days lead time during our busy spring season, and 7-8 days in the quieter seasons. However, we also upsell a two-day turnaround, which lots of athletes take advantage of. This allows them to pay a speedy lab fee, and we get their order in and out in two business days. 11. Do you use celebrity endorsements or influencers? Sometimes the highly professional athletes want too much and give too little, so we don’t invest there. Instead, we take a grassroots approach by sponsoring young athletes – light celebs – with guards. Up-and-comers are very appreciative so they help to spread the word on social media and as a marketing strategy, this has been very effective for us. In many cases, we try to find the biggest fighter in a gym and then gift a mouthguard, who then posts about our product on social media. That’s the kind of light celebrity we give guards to, giving us good brand exposure. We also get sales from gym members or have the gyms wanting to sell the mouthguards themselves. We also actively search for influencers on Facebook and Instagram to build relationships with, and are now busy with deep marketing analytics to see which has a better return on investment. 12. What types of marketing have you had the most success with? Word-of-mouth and giving away free guards, which creates word-of-mouth, have been very successful for our brand. We’ve done a lot of events where we set up a tent at a tournament or sporting event, where we talk to athletes. This has helped us a lot in building awareness over time, but we are pushing more towards online marketing. Right now I am doing all the Facebook ads myself, with the help of what I have learned from the likes of Susan Bradley from Wee Squeak. She’s honest, informed, great to work with and a Facebook expert. Our budget is only around $1,000 per month, which includes growth and remarketing campaigns. Currently we are only using Messenger as a customer service tool, but will look into Messenger advertising and selling in the future. With regards to email marketing, we have a list of about 16,000 names, which we send regular news and discount newsletters to. These discounts are normally around 10-20%. Additionally, we send out automated ‘Welcome’ and abandoned cart emails, and we also run competitions through our email marketing. 13. What are the must-have apps that you are using? 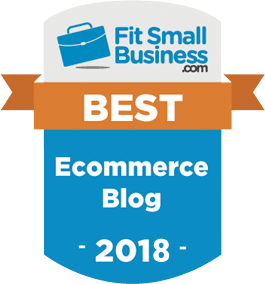 We use a couple of BOLD Shopify apps that help us with customer service, such as the Order Manager, which helps us keep our customers notified on where their guard is in the process. We use JustUno for our web pop-ups, but when our new website launches, I don’t think we will need an app for this as we will have that built in. We are also using Traffic Booster – which we can’t do without – and Klaviyo, which helps us with communication to our email audiences. 14. What are the biggest challenges you have faced as an eCommerce entrepreneur? I would say, because you wear so many hats as a business owner – the focus on getting to the things that drive new business to come in. Being able to put aside all the other problems or challenges that are secondary. If you’ve got the business coming in, then you can figure everything else out – it gives you time. The challenge is just keeping enough time available for that effort. I would also say that having folks like StoreYa working with folks like me helps tremendously with being able to focus. Because you keep your eyes on the ball for us with regards to one aspect of marketing, I can put my focus fully on other marketing channels. 15. 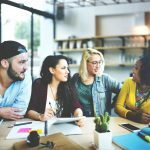 What have been the most influential resources for building your business? Books, blogs, podcasts, etc. 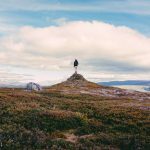 I spend a great deal of time following Susan Bradley, founder of The Social Sales Girls. Her advice and insights help guide our decision-making. I am always scouring for new information, not any I can mention specifically, but I definitely try to stay ahead of what’s happening with colors, trends and sports news. 16. What are the big future plans for your brand? We are about to announce that we will be the official mouthguard for Major League Rugby here in the States, protecting about 250 athletes on the eight teams. It’s a brand new professional rugby league and as rugby is a growing sport here in the States, we hope to work with them for a long time. We are also building our night guard brand, recently having launched the night guards to help protect folks’ teeth while they sleep. This product line will open us to a whole new demographic. 17. What’s the no.1 piece of advice you would give new eCommerce entrepreneurs? Jump in. Don’t be fearful and don’t worry about what you don’t know. Get started and go forward with the idea that you will evolve with everything you are doing. 18. If you could go back to the very beginning, is there anything you would do differently? If I had to make one change, it would be to have invested more heavily in online marketing earlier on – at the beginning. I am not upset by this; we have built a good business foundation, but it’s one thing, if I had to go back, I may have done differently. For more business inspiration from the best eCommerce entrepreneurs, visit the success story section of our blog.